2018 Women's World Car of the Year - Volvo is on a roll! It was a great success! 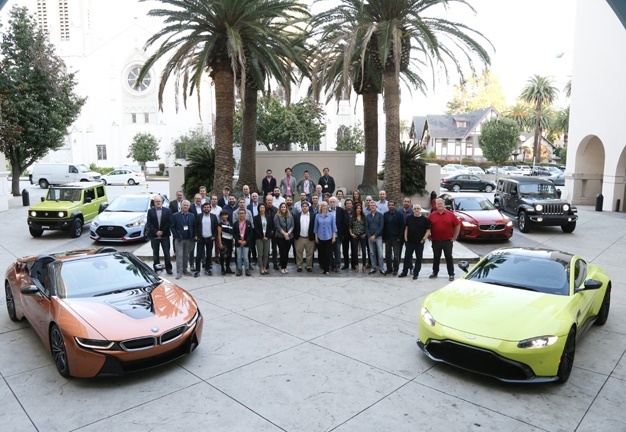 48 international journalists from 18 different countries spent the week in Pasadena, California test-driving 38 cars that are contenders in six categories for the 2019 World Car Awards. The 5th annual 'LA Test Drives' is a stop on the The Road to the World Car Awards journey that began in Paris on October 2nd. The journey follows our 86 international journalists that make-up the jury panel as they test-drive and vote on the “Top Three in the World” finalists as well as the overall winners. WATCH: 2018 Women's World Car of the Year - Volvo is on a roll! The journey ends at the New York International Auto Show on Wednesday, April 17th, 2019 when the winners are declared during an awards ceremony that officially opens the show. The "LA Test Drives" were hosted by ZF who gave our journalists a glimpse into the future of the automobile from a supplier’s perspective including the electrification of everything: from bikes and cars to trucks and buses. The LA Test Drives event enables international jurors to evaluate cars that may not be available in their local market, and for everyone to test those cars on a perfect test-bed of American roads. Through the course of a 60 minute loop, each car was subjected to both urban and rural roads, a stretch of multi-lane interstate and a section of the epic and iconic Angeles Crest Highway. This twisty and mountainous series of switchbacks and challenging turns is a real test for even the best handling cars. This combination of scenarios makes Pasadena an ideal spot for testing these cars, and the beautiful views from the Angeles Crest Highway also make for some incredible photo opportunities. Our next stop? Geneva: where the World Car Awards will announce the "Top Three in the World" finalists as well as the 2019 World Car Person of the Year on Tuesday, March 5, 2019. Of course, The Road To World Car doesn’t really stop. Just a few weeks after the New York show’s grande finale, the World Car Garage will be staged for the fourth year at the London Motor Show in May of 2019; offering a glimpse of the 2020 contenders as well as celebrating the 2019 winners. The World Car Awards is the number one awards program of its type globally for the sixth consecutive year as reported in Prime Research’s independent media report released earlier this year.